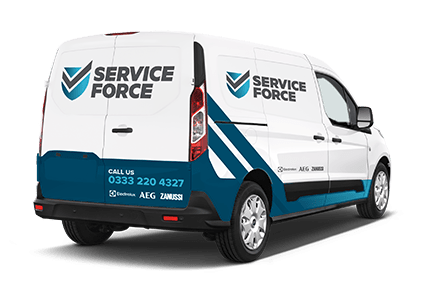 Service Force are the only authorised Electrolux washing machine repair partner in the UK. We are here to support you when things go wrong, and understand that your Electrolux washing machine is essential for keeping your clothes clean and allowing you to keep on top of everyday life. We fully appreciate the inconvenience when an appliance stops working as it should. That’s why when your appliance needs a repair, we’re here to help with a national network of over 200 certified engineers using only genuine parts supplied by official manufactures and supported by 12 months guarantee. Call now to get a free domestic appliance quote.